i tend to get bored easily. i don't really like routine so much, or i get tired of a routine pretty fast. so, having worked for the past 2 and a 1/2 weeks with the same schedule, i have reached my limit. hehe. it's time for a little change in my daily routine. luckily, a little change is coming tomorrow. we have an early release day (the students go home at 1:00, however teachers do not. meh). still, it's something different. yay! 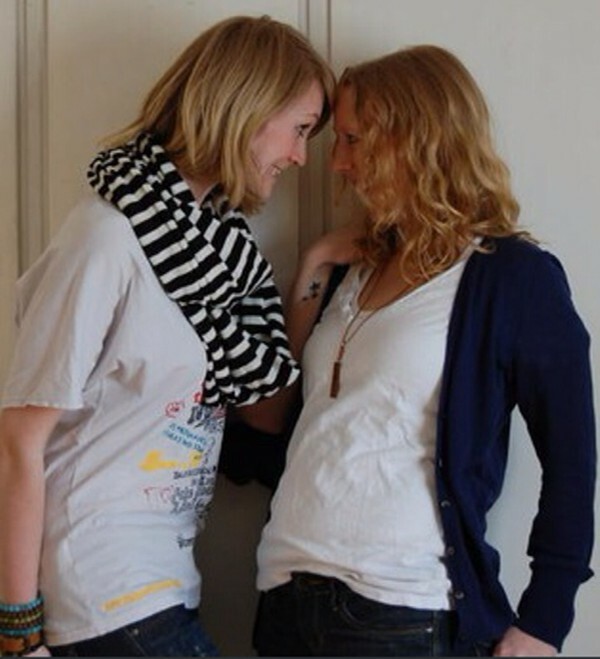 once my love is with me in june, we are having guests to stay with us some nights. and we'll all be spending lots of time hanging out on the porch with the doors open. that is definitely not gonna work with zola. so, the only place zola can be is in the downstairs room (where there is a door to make sure she doesn't get out on the porch). however, that is a guest room right now. i'm sure that our guests will not want zola in their room, so, it seems like this is a great opportunity for me to move from the upstairs room to the downstairs room! think i'm gonna start moving things over the next few days and make it a cozy place. so, thanks zola, for giving me a "reason" to make a little change at home. yep. time to mix it up a little! but, it's been a rainy, chilly monday. (ahhh...spring in the mountains). do you think that when you're looking forward to something, as it gets closer sometimes it feels further away? it's just under 6 weeks now until my love comes and 7 weeks until the school year ends and summer begins. it seems that the closer i get to this amazing time of change in my life, the more it moves away. i guess i'm just being impatient. yep. that's it. my patience is growing thin. and i'm whining now. sorry. it's just that i want to move on... one of my co-teachers shares with me an intense desire for this school year to be over. we give each other pep talks throughout the day. when we walk into the classroom, we greet it other with the date and note how close it is to may, and then june, and then it's over. and throughout the day we remind each other that we can to make it through one minute at a time. and by 2:30 we end up meeting in our back office telling each other that we have "shut down" for the day. we wish each other well as we run out the doors together, and then we do it all again the next day. i must say that it is so great to have someone, who feels a little like i do, to help me get through the rest of the school year. gonna get ready for bed now. tomorrow's tuesday. my cozy bed & our cozy covers. 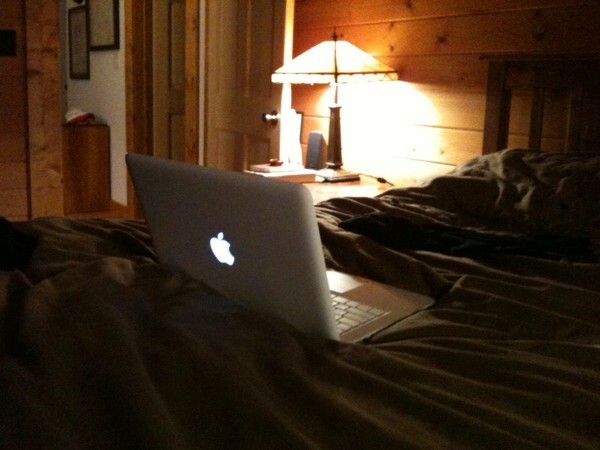 my super cool mac (which makes it possible for me to spend some time with my love). these are things that bring me comfort. i went to run some errands today. and on my way home, as i was driving with the windows down, i thought i should take a little detour to enjoy a beautiful view. 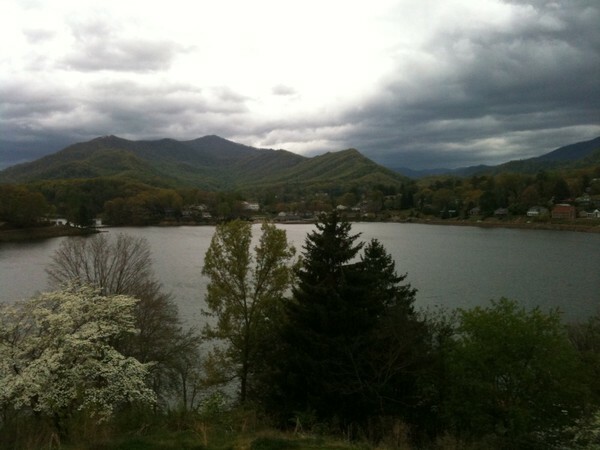 sure, there were dark clouds everywhere and the sky was threatening to give us a severe storm... still i thought it might be beautiful from the cross at lake junaluska. i was right! i'm so glad i went. what i saw when i got out of the car was a picture of spring creeping up the mountains. ahh...finally. warmer air, spring storms (as long as there are no tornadoes! ), green trees, and flowers. summer is not too far away now! 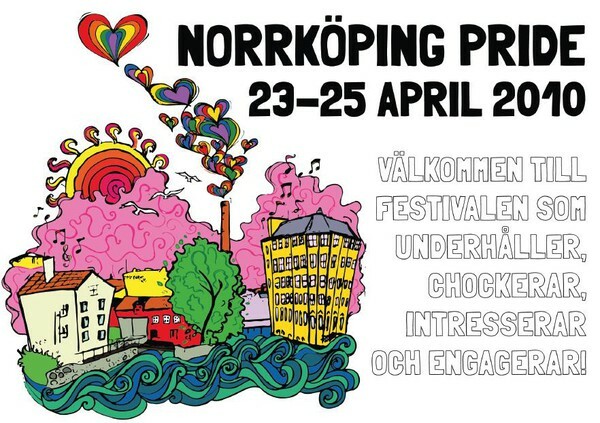 this weekend, norrköping (the city where my love lives and where we are moving to in august), is celebrating the lives and love of all people with a pride festival. according to their website/program, the festival is a dream that the city will be a place of equality and freedom for all people. a place where each unique individual is appreciated, respected, and affirmed. i didn't see the plane land. they drove about a mile from my school (while i was working!). the closest i'm gonna get to the obamas is the security helicopters i've been hearing constantly since yesterday. and no one has any idea what they will be doing. but, thanks to youtube, i can see them ordering lunch at a restaurant very close to the apartment where my love and i lived. hehe. yes, i'm a little star-struck. p.s. love to see the president and the first lady being so down-to-earth. and michelle's bracelets are freakin' cool! 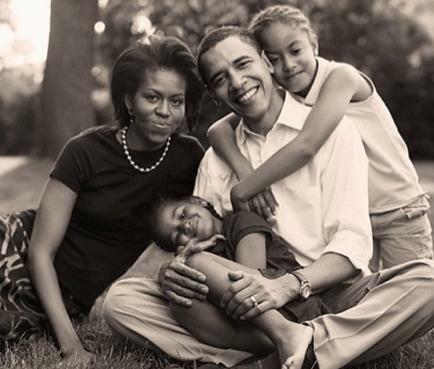 on friday president obama, first lady michelle obama, and their girls, malia and sasha, will visit asheville for a weekend vacation!! i'm so proud and excited that the obama's are visiting my home city! now, if only i could catch a glimpse of the plane as it comes in, or the motorcade of cars as they pass by...dreaming. 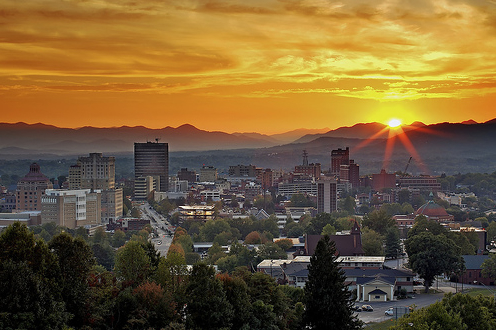 but, the family is here to stay at the grove park inn this weekend and enjoy some relaxing family time. and doesn't everyone deserve time with their family? so, no public appearances will be made. still, just knowing that the president and his family are in my city is an amazing feeling! student: ms. mcguire, did you carpool or walk to school this morning? me: no... (thinking this was an odd question). it's waaaaay too far for me to walk and no one lives near me. i live in waynesville. student: well, i just thought, since you are a hippie (hihi!) 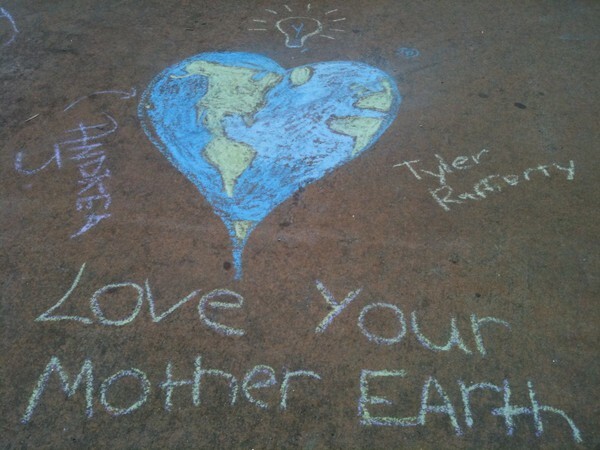 and today's earth day, you would've done something to help the environment today. haha. me: crap. you got me! well, i did wear green and blue to celebrate the earth! yep. today's earth day. 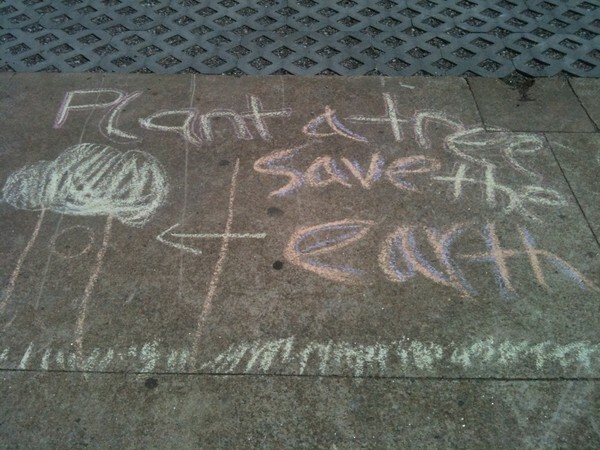 a great day to hug a tree, soak up the sun (unless you are in sweden where it was snowing. so sorry. ), decide to recycle, work for peace, or listen to music... as i was driving home, i had my iPod on shuffle and a song perfect for earth day started to play. i immediately had memories of last summer and the day that i found out that michael jackson had died. my love and i got off a plane at the airport in copenhagen, waited for our bag (a completely different, crazy story for another time), and saw the headlines in the newspaper stating that mj had died. it was a shocking moment. so, to celebrate and honor the king of pop, my love and i listened to this song as we rode on the train. we realized how powerful the song is. and i re-discovered a new, old favorite. you know, the earth is sacred. beautiful. and meant to be a place of peace. we must care for it... and for each other. as of today, i am no longer a candidate for ordained ministry in the united methodist church = i am not in the process to become an ordained minister. i met with a committee in my area for sort of an annual interview so that i can continue the process. today, however, i was stopped. because of my marriage. it is against the rules for someone who is like me to be ordained. i felt pretty bad at first. and angry. definitely angry. and a little lost. like....what's next? how could this happen (even though i knew it would at some point)? and then i realized, i'm not lost. in fact, i know exactly where i am and who i am. and i am not giving up or giving in on who i am called to be. who i am is who i am. who i love is who love. and who i am called to be/what i feel passionate about does not change just because of some rule. so, i'm not empty or lost. i'm actually free! the whole world lies ahead of me. i realized that what i am most afraid of is not rejection, but the unknown. however, i am not alone on this journey. so, i am feeling quite free, inspired, loved, and proud to be me. while i am extremely disappointed in the united methodist church's rules, i am more thankful for the incredible love and support i have in my life. from my mom, to the members of the committee who wrestled with my "situation" versus the umc rules, to my amazing love who inspires me. all of that love and support remind me to always live with integrity, honesty, and to continue to find the ways that i can make a difference in the lives of others. maybe one day the rules of the umc will change and all people will be allowed to be ordained. everyone is worthy of equal rights! for now, and until then, i will never give up. and i will use the unknown future to continue to grow and explore the opportunities that come into my life. so now it's on to the next part of my life... my love is coming to me in 7 weeks, we're gonna spend an amazing summer with my family, move to sweden, i'll take swedish classes, perhaps begin to dance and write alot, volunteer, and see what kind of social/community service jobs i can find. what i thought would turn out to be the most devastating decision, has actually served to push me to remember to always to be true to myself. to live life. and to love deeply. and that is freedom. if you've checked out the post just before this one, and clicked on the link, then you've seen the newest edition to our apple family. yay! my love's also getting a little apple baby in june (but not the same as mine). yep. 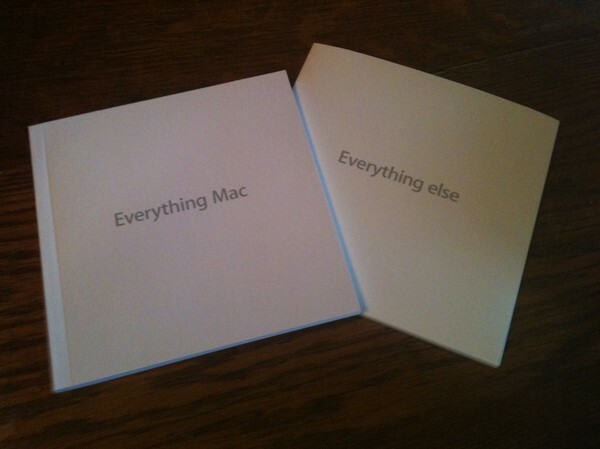 we've gone Mac. we're cool. i am back in the states. as ready as i'll ever be to face 8 weeks separated from my love again. it was amazing to be together and i am so thankful beyond words! but, now it's back to work - only 2 months left in the school year. it's spring, so the weather is improving. and more than anything else, i am so in love. gonna focus on all the positives right now and get through this one last time of being apart. cannot wait to be together always! soon i'll feel home forever. we are headed downtown today. have a bit of lunch. do a little shopping (hehe). 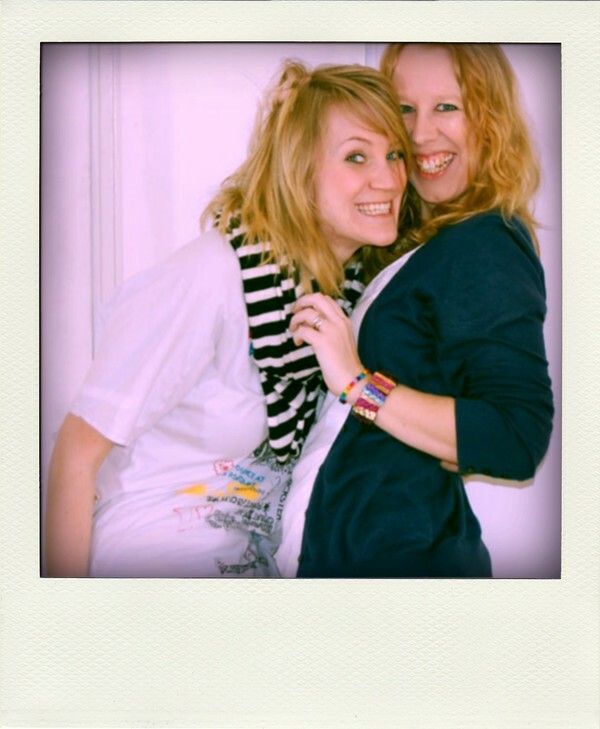 meet a friend and 2 cousins for fika! watch Alice in Wonderland in 3D at the movies. woo hoo! and then i'm headed to the airport to fly to my love in sweden! that's right...I'M GOING TO SWEDEN!!!! there are many different factors which have led to this amazing, unexpected trip. let me just say that i am overwhelmed at how all of this has come together... so many things working, way out of my control, to make this all possible. and i am so so so thankful! in no way could i have ever imagined the joy of being reunited with my love for 10 days in the middle of this crazy, long, difficult time apart. it's a gift and i'm still pinching myself to see if i'm dreaming.